Real power is never given....Its Taken! Set in a Chicargo - like town in the 1920's prohibition period, Gangsters is the strategy game where crime pays! From extortion and intimidation to street execution or all out bloody gang warfare, Gangsters creates a world where you are 'da boss' with the power of life and death over those you control. Play in a vast city filled with over 5000 individual characters. 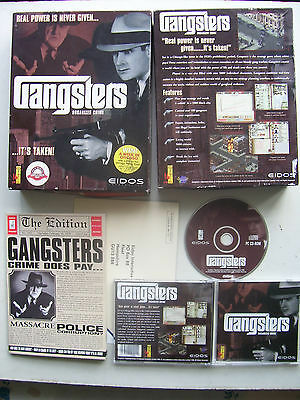 Gangsters combines real- time action in a strategy planning interface, to authentically recreate the seedy, violent and ruthless world of gangland mobsters.